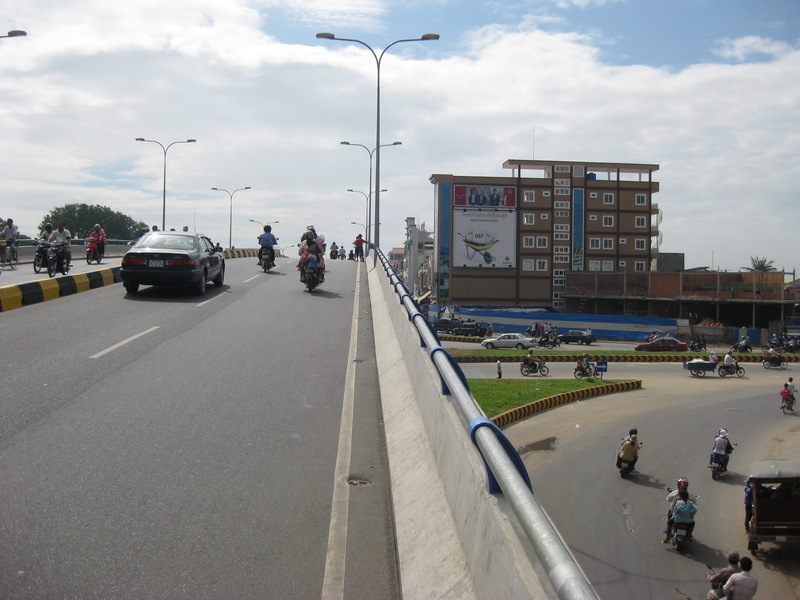 The flyover is finished and the fact that there is an instructional visit on how to use the bridge on the ministry of public works and transportation is a testiment to its limited design. 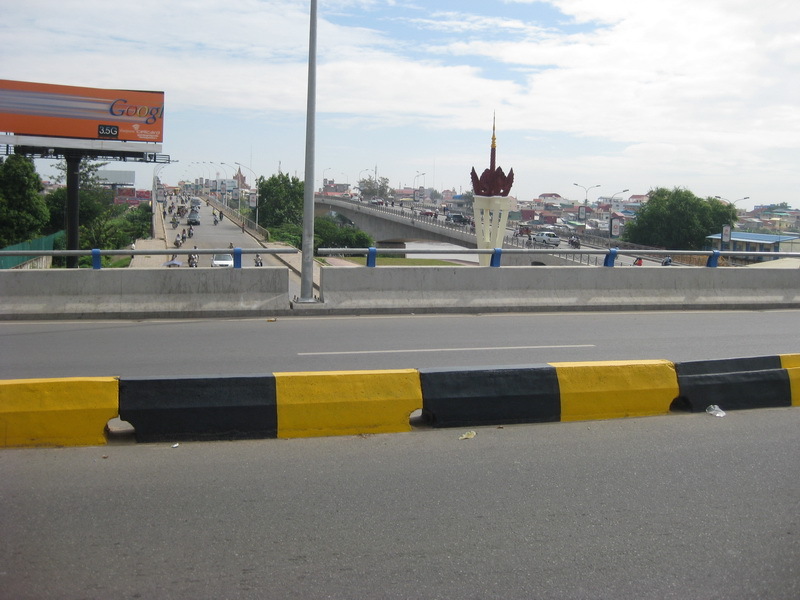 For example, to turn left onto Monivong bridge from travelling south on Noridom: head south, veer right towards Monivong road, after 100m or so perform an awkward U-turn, then head under the flyover and across the bridge (instructional video has arrow diagrams for every confusing situation). 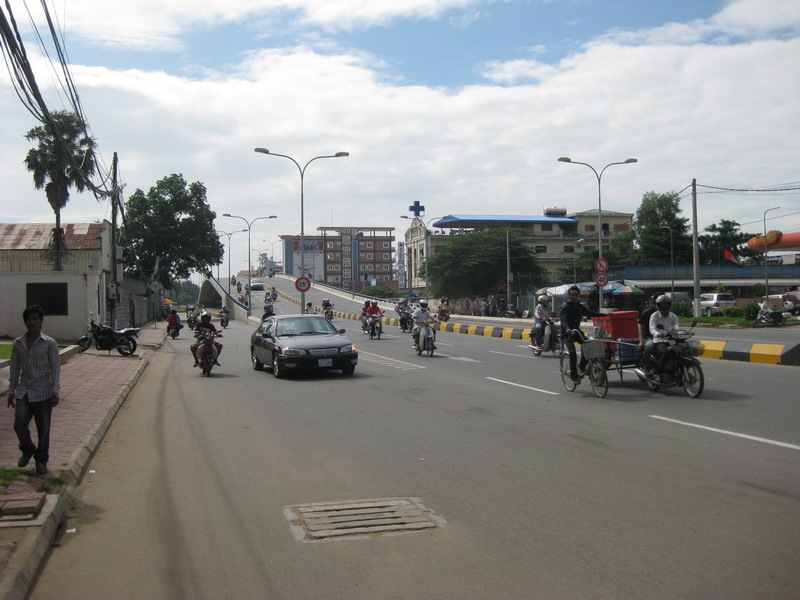 Towards the flyover from Monivong Blvd. 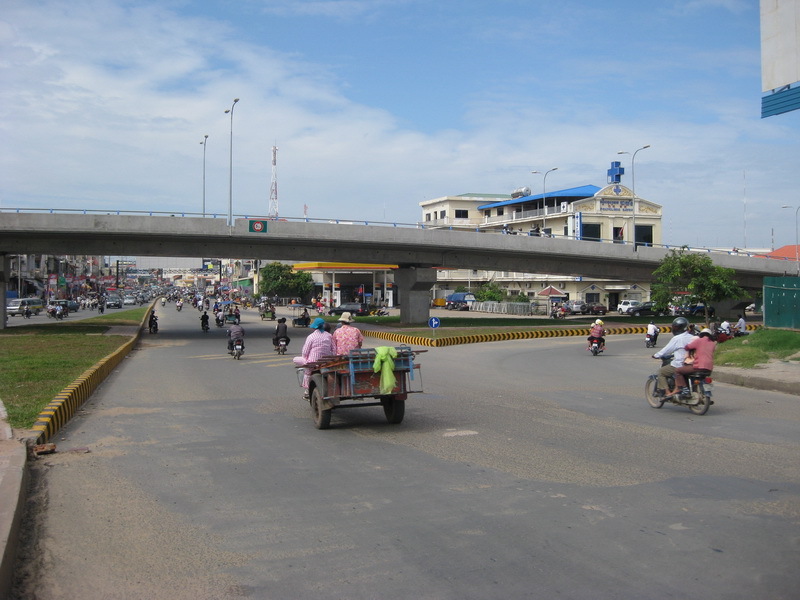 I drive by this construction site every day. 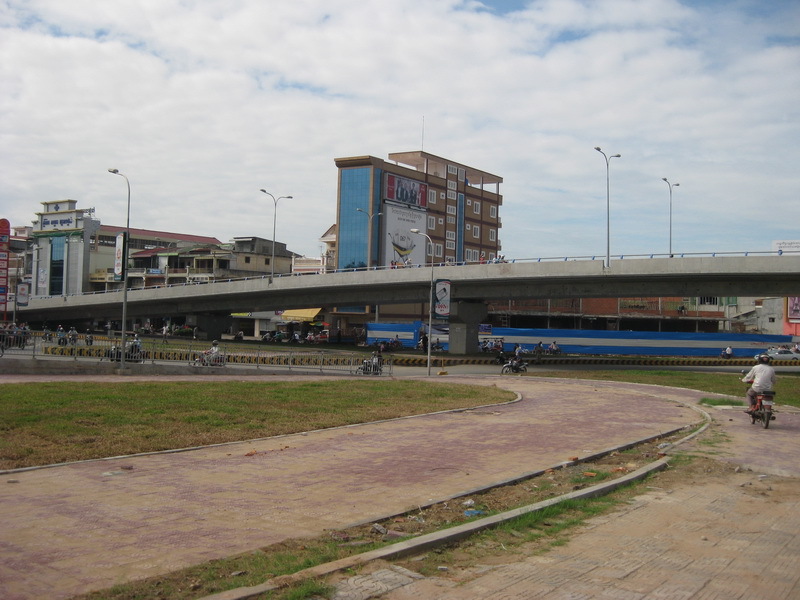 Bit by bit the flyover is getting closer to completion. 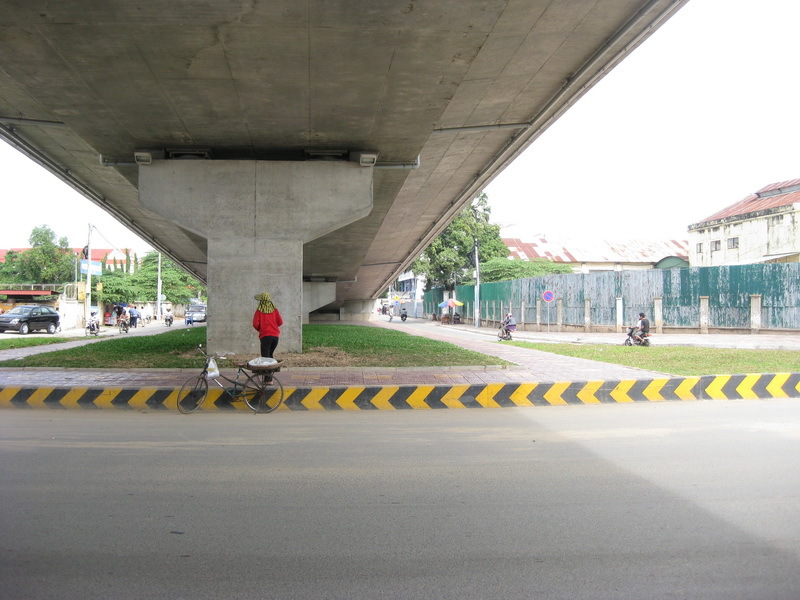 Closed for now but I did blow past security and test the bridge on my bicycle last week. 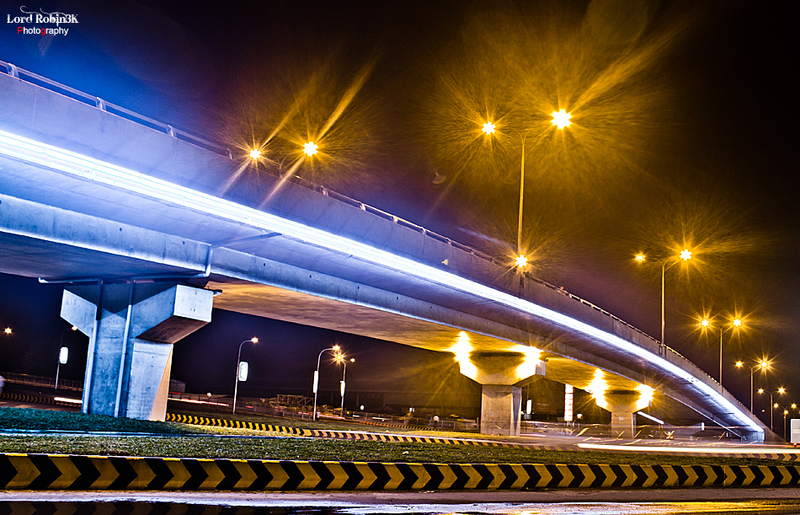 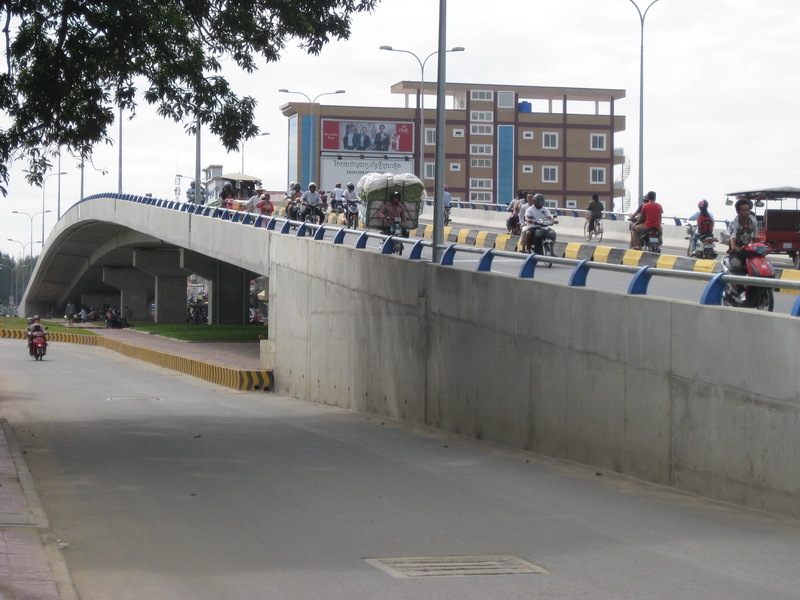 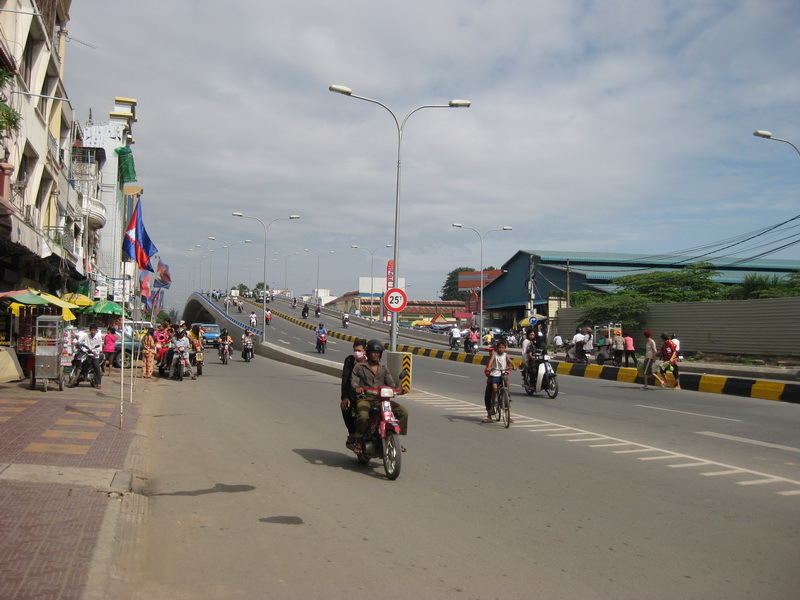 Here are the plans for Cambodia’s first bridge flyover. 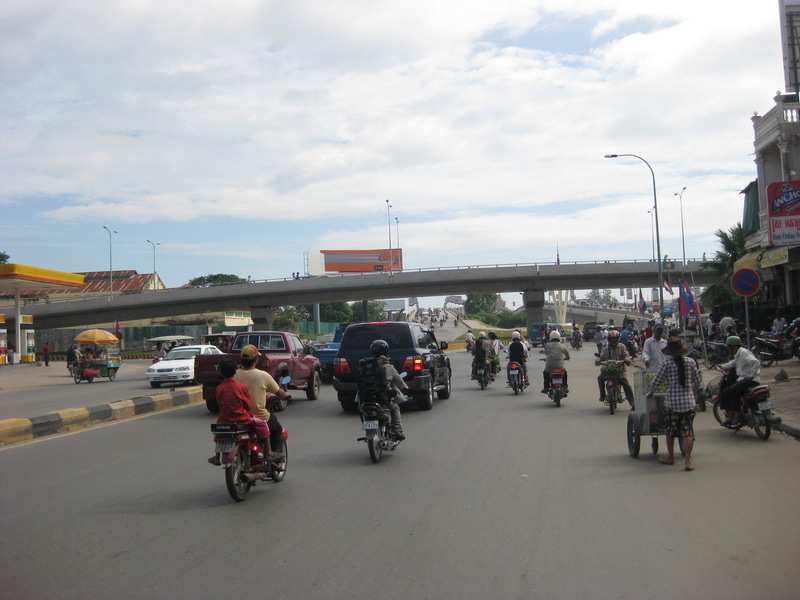 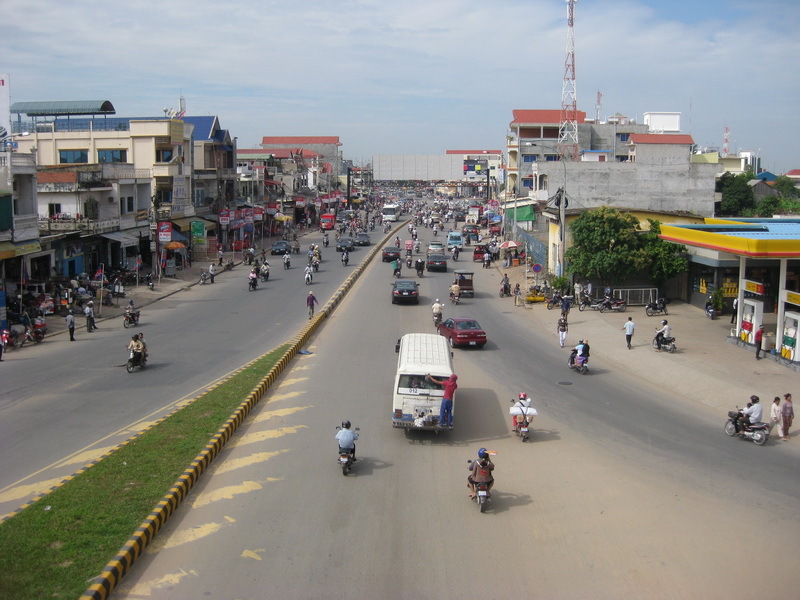 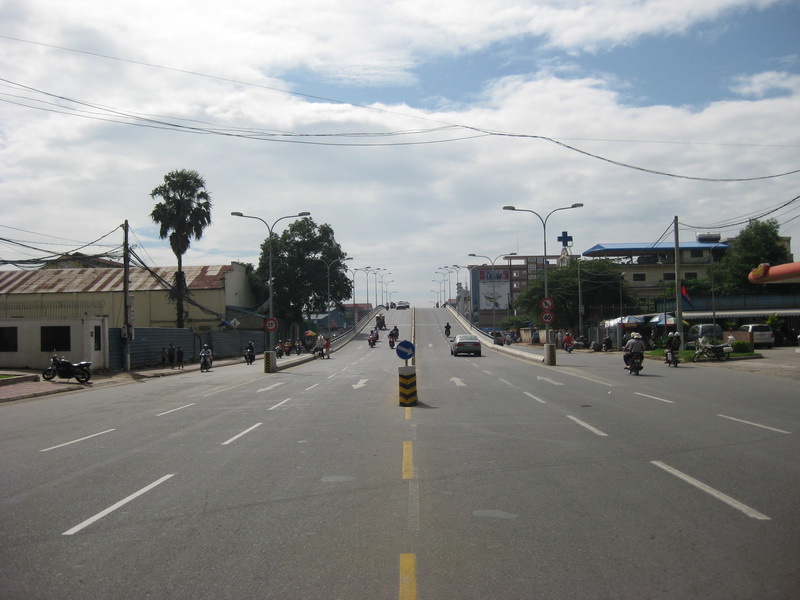 Located at the intersection of Norodom, Monivong, and dike road (st. 271). 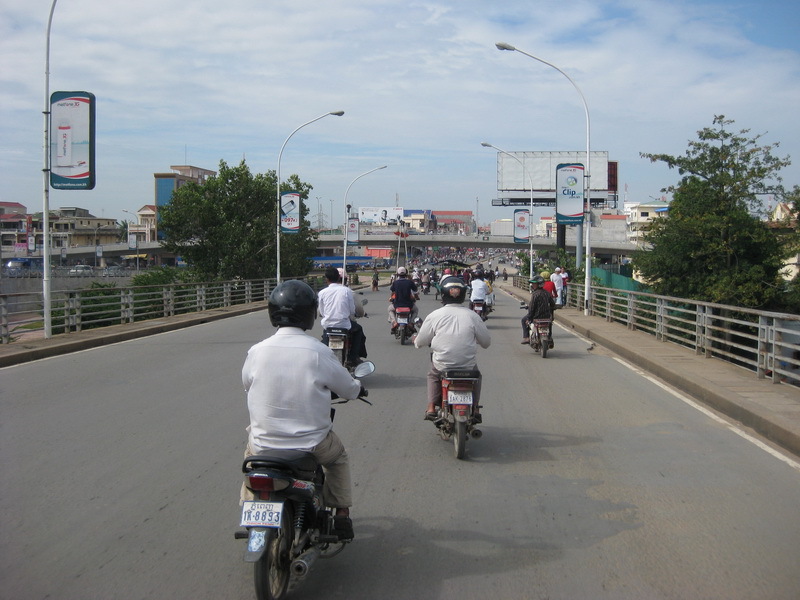 Intersection also next to Monivong bridge and called Kbal Thnal.